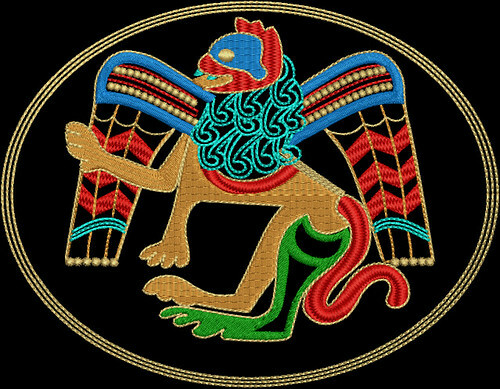 For this embroidery I consulted the talented Summerset. She uses a lot of lattice in her wearable art pieces so I asked for some advice, which she graciously provided. 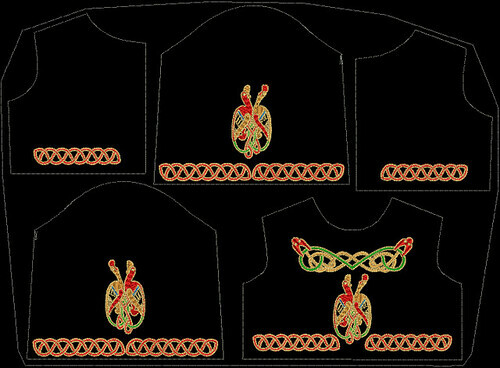 The pattern is on left. 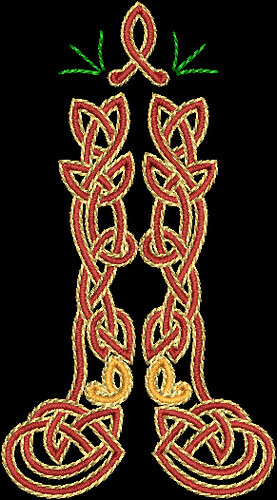 On the right is a tracing on reverse on right. 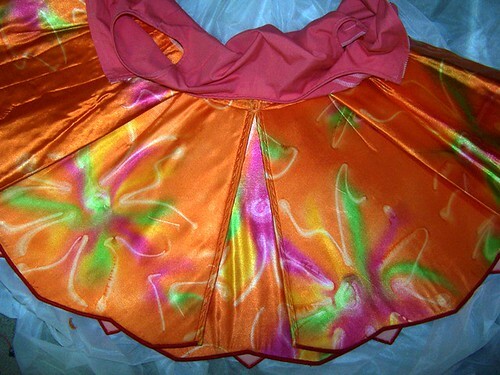 Again I have used a satin fused with cotton interfacing for the base, with the upper fabric in a cotton velvet. 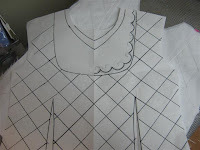 The darts are marked on the bodice and thread traced through all layers. 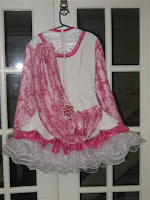 I sewed on the pink applique at neckline to have an end point for the embroidery. Sometimes you end up with a gap otherwise. 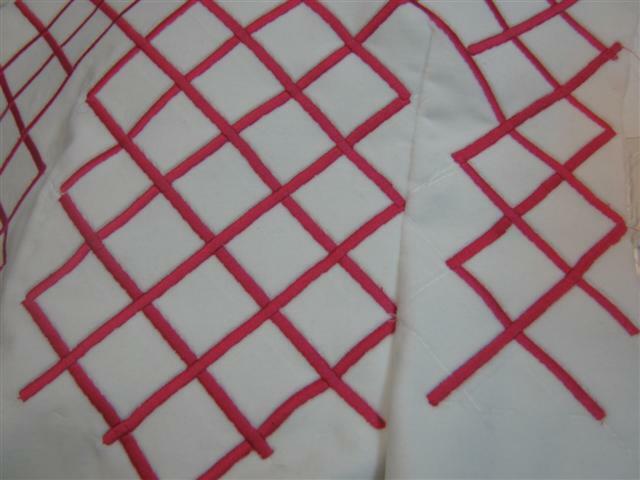 The straight stitching lines follow the grid. 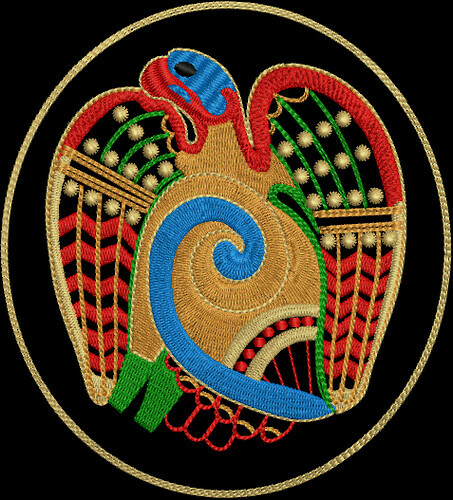 This stablizes the layers and shows where to stitch. 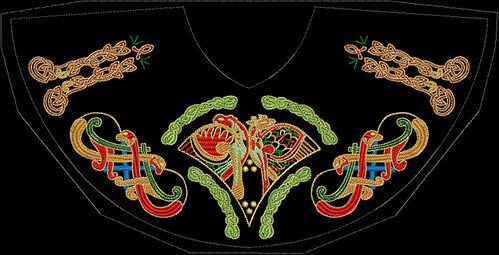 Keeping the line straight to do the stitching was a challenge for me. I wanted to stitch at an angle. 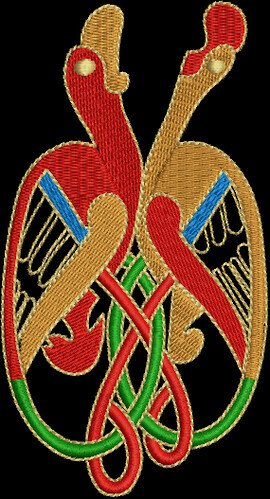 I also found it better to stitch over the straight line with the line being just covered at one side by the stitching. If I tried to centre it I got crooked. I did not go through the dart area because I wanted to do as much as possible in the flat. 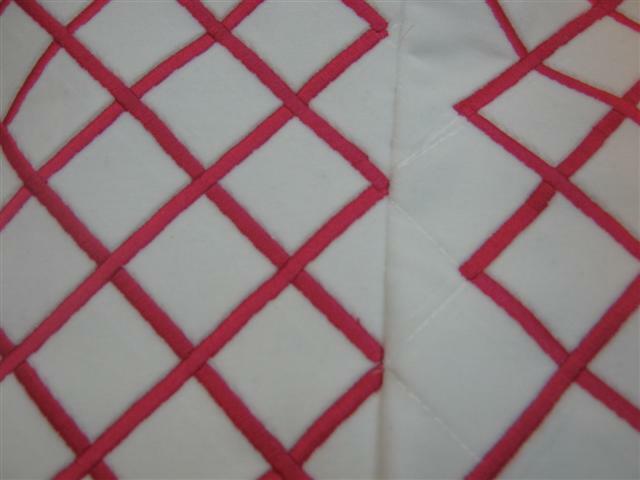 I left one square blank on the side of the dart and then finished the stitching once the darts were sewn. 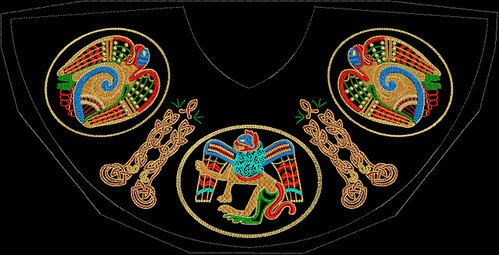 The stitching in flat nearly completed. I kept missing areas and would have to go back to them. 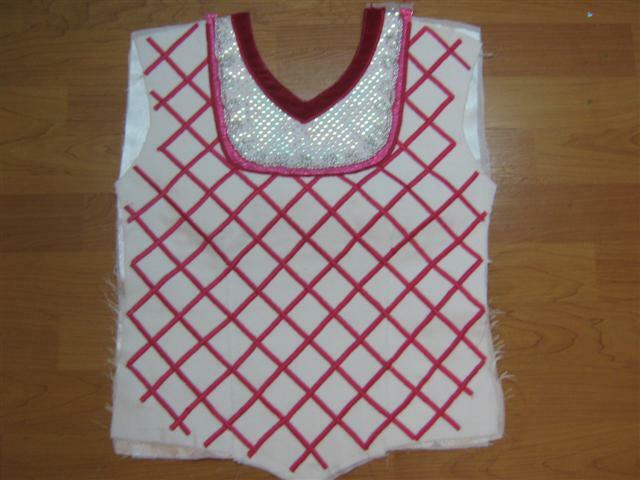 The darts are sewn, the fused satin was trimmed away and the dart was catchstitched open. 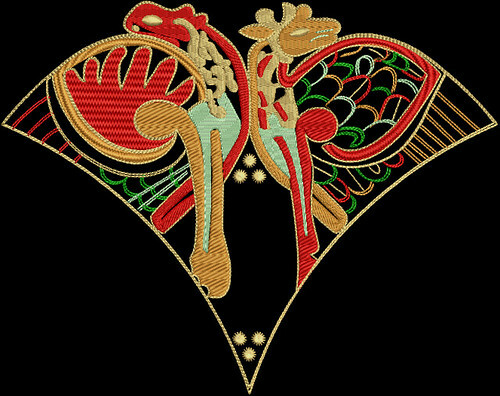 Dart is sewn and the gap in embroideryshows. It looks like my lines match up-Yay! 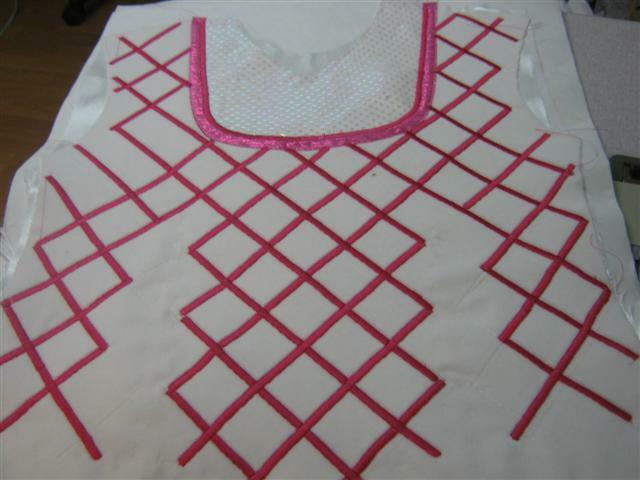 Stitching complete, but the bodice hasn’t been trimmed to size yet. 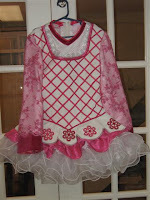 This dress is still in production, so I will get some pictures up once it has been completed. 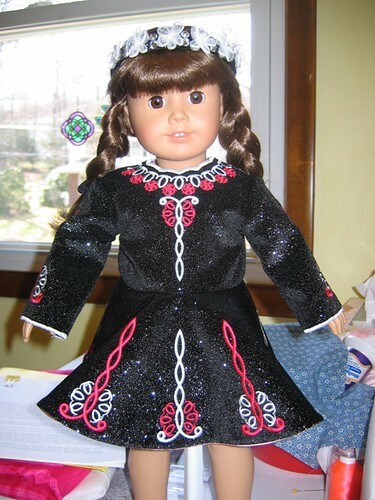 ETA: Here is the completed dress…beautiful, Paddy! use for where to stop it? panels and if so, how did that work? is this what I should be using? this or what it folds around and how it’s going to work. 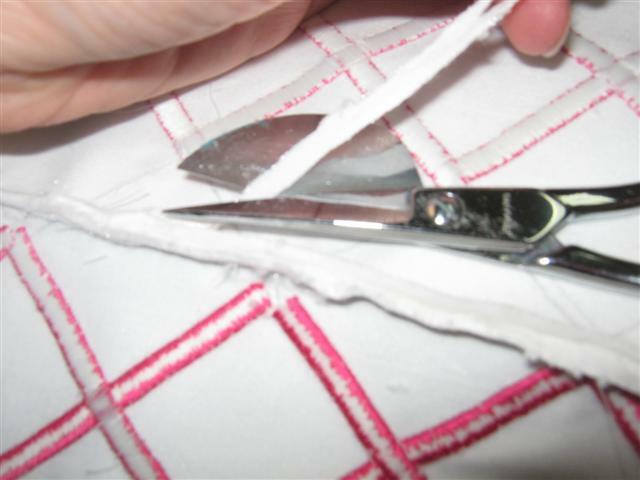 that extra bit when I prepare my lining? 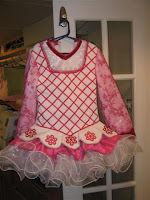 differently than I will be doing for a solo dress. I am assuming here that we are talking about a 3 panel dress, so my answers are in that vein. Yes, you are correct that most solo 3 panel dresses are different than a lot of school dresses when it comes to stiffener in the FSP. 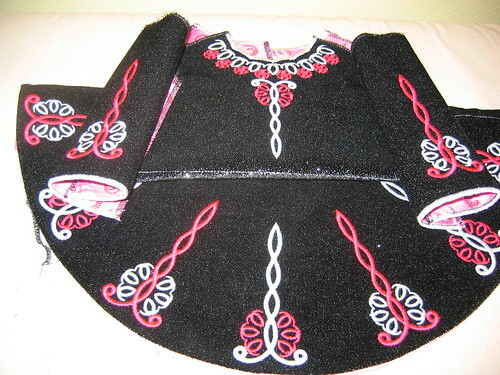 Solos dresses are usually much stiffer so that the side panels extend further out to the sides. 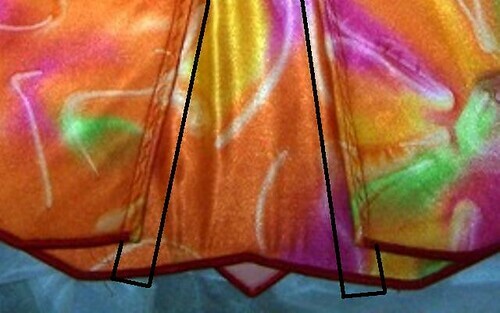 And, it is usually preferable that the FSP does not bend but instead is as flat in relation to the CFP as possible which is why the same stiffener is used in all 3 panels in the front skirt and why the boning extends from the knife pleat out to the edge of the FSP. Be aware that if you do not use the same stiffener in the FSP, the side panels will collapse down and in. 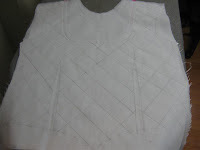 A vertical piece of boning behind the knife pleat will not really accomplish anything except add weight. 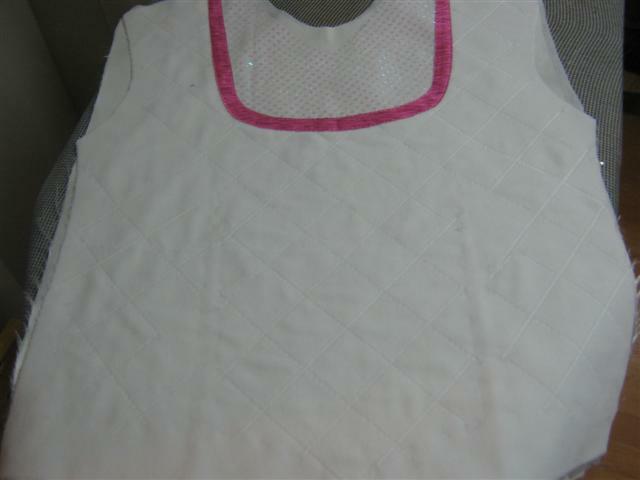 Now for the seam wrap: here are a couple of pics of the wrap. Let’s see if I can explain what I do. 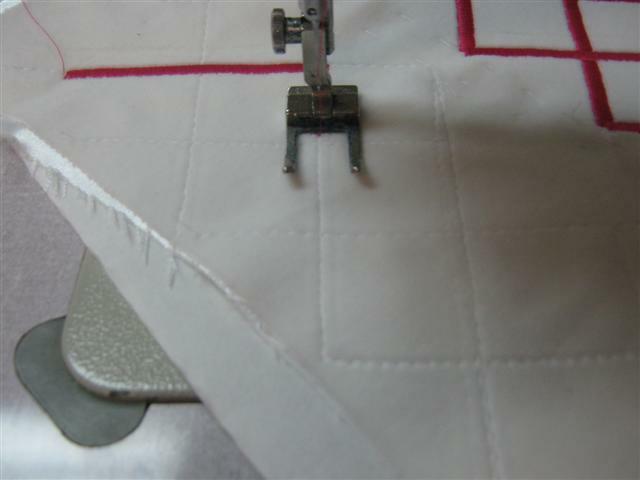 This allows me to wrap the bottom of the seam also. 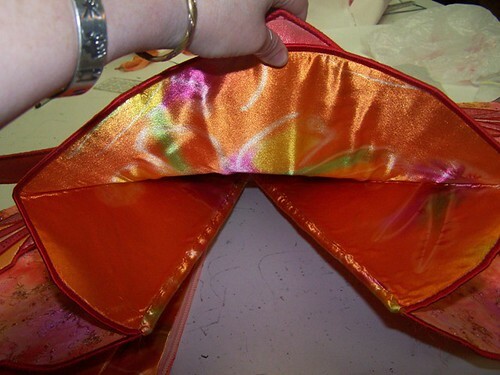 Once the seam is sewn, I iron the vertical edge of the wrap to create a straight fold, fold the bottom of the fabric up over the bottom of the seam, fold the vertical edge, and then sew. 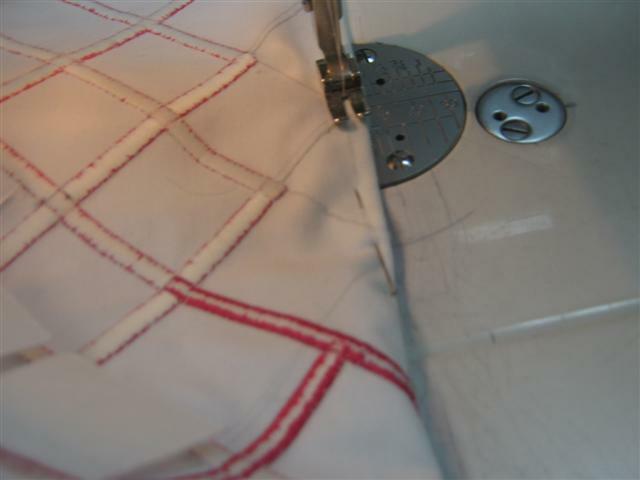 All seams are now hidden.